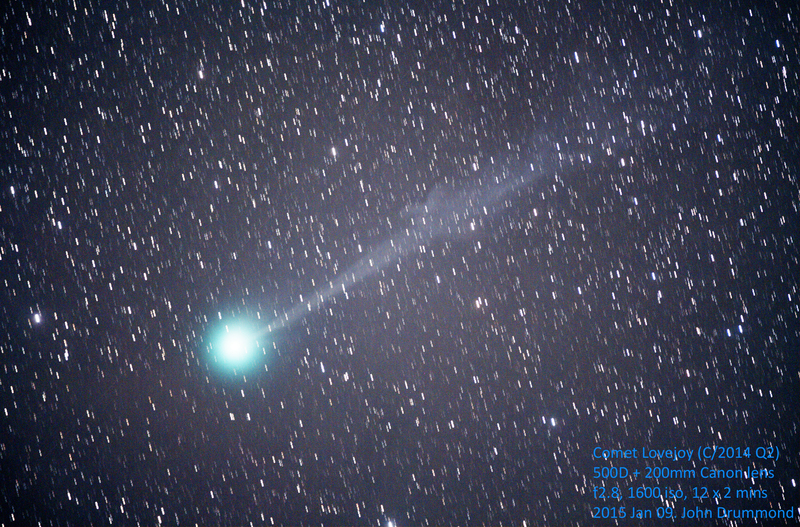 I managed to squeeze off a few shots of C/2014 Q2 (Lovejoy) last night just before the Moon rose. The tail possibly suffered a disconnection event - as seen in the photo. Image details on the photo. I could easily see it with the naked eye – even during nautical twilight. Reckoned it was ~mag 4 last night; could also see the fuzziness (i.e. not a point source) with the naked eye.